I’m a blogger but I’m also beginning to become an online seller. This article is then a blogger’s guide to becoming an online seller. Why I wanted to become an online seller? It’s mainly because of the money. I’d like to earn an additional income from selling items online. 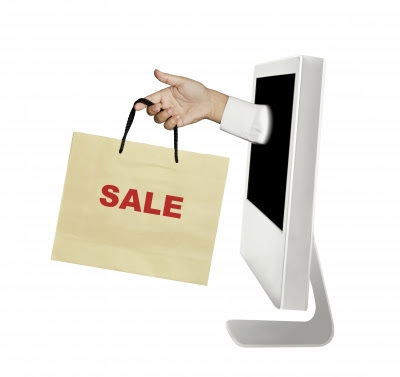 Selling items over the web is just one of the ways you can earn money online. You may also read these recent posts for other options: Make Money with the Market Health Affiliate Program and How to Make Money with the Freelancer.com Affiliate Program. Aside from the money, it’s also easier to sell online than in an actual brick and mortar shop. You won’t have to worry about procuring documents, acquiring licenses or registrations, building or renting a physical shop, and managing the shop and your personnel. All you need is a computer with an Internet connection, yourself, and a few tricks. So how can you become an online seller? It starts with a product to sell. Search the web market for products that are highly purchased. Some of these include health and beauty as well as electronic gadgets. It will help a lot if you have actually tried or tested a similar item so you will know exactly what to tell possible buyers about the product you are selling. You can’t possibly sell something you don’t even believe in right? Next consideration will be your budget. How much can you be able to spend as initial capital? If your target product is something you cannot afford to buy, then you can always adjust and choose other products which are more affordable instead. You may also start with a few items which your budget can have the funds for. You can keep the initial income generated as a capital for the next set of items for your buy and sell project and so on and so forth. You also need to know where you will practice online selling and how can you promote your products online. There are numerous free online selling sites which allow you to create and post an ad about items you are offering. Although eBay is one of the more established sites, it’s not a good place to start since there are fees associated with posting advertisements. You can venture into selling through eBay once you have already established yourself as an online seller and have sufficient funds to cover fees. In the Philippines, the best place to sell online is through Sulit.com. The place may be saturated but the saturation is in a positive light. You won’t have to look for customers anymore. The site itself leads them to you. Even search engines like Google display search results filled with redirects to Sulit.com when you search for a specific product. Multiply.com also works but not as well as Sulit.com. For computer related products, TipidPC.com should be the best option. AyosDito.ph is limited and has restrictions when it comes to products they accept. I have an account in the site and they actually rejected a skin care product and an adult supplement I tried to post. I didn’t have problems posting about the same products over at Sulit.com. You can also market your products through social network sites, particularly Facebook. Create a Facebook page specifically used for online selling or you can even utilize your own personal account. I know of former work colleagues who are able to maximize social network sites for their online selling activities. Both of them were actually even able to work full time as online sellers and eventually left our former job. When using Facebook, however, make sure to follow only ethical methods. Everyone hates spamming so be careful when posting at people’s pages and tagging them with your product photos. There are at least people who welcome this technique but if they don’t like the idea, it’s best not to continue doing it. Whichever method you use, make sure to make a presentation which is enticing enough for buyers to be interested. Although some products doesn’t require that much of an introduction as they are already appealing on their own, there is still a need to further convince potential buyers into buying from your online shop. This can be achieved through a good presentation of the item. You will also need to offer additional perks in order to compete with other online stores offering the same item. You may provide seasonal discounts or promos like free shipping. So what are you waiting for? You too can become an online seller!